Offering you a complete choice of products which include 20 mm neck fine mist sprayer, 28 mm triggers pumps, liquid soap dispenser pump, 18 mm fine- mist spray pump, 20mm lotion pump and 43mm foam dispenser pump. 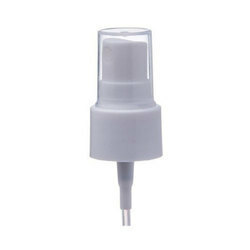 20 mm Neck Fine Mist Sprayer comes with a Natural Overcap. 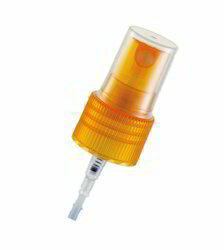 This pump includes an over cap and dispenses a fine mist. 28 mm colin type tigger pump in blur and green color also we can make as per customer orders. 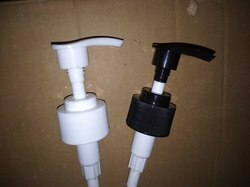 The 18mm White soap/lotion/dispenser pump is ideal for dispensing soaps, lotions and beauty products and fits our plastic bottles which have a 18mm neck. The length of the dip tube on the pump can be cut with scissors to the desired length.It is also available with a plastic cap. 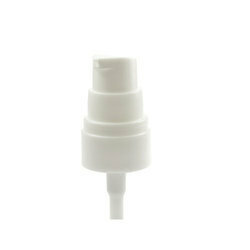 The 20mm White Lotion pump is ideal for dispensing Lotions and Oils and fits our plastic bottles which have a 19mm neck. The length of the thick dip tube on the pump is 110m and it can be cut with scissors to the desired length. It is also available with a plastic cap. This product is perfect for dispensing foundation creams , lotions ,oil etc in small quantities required for one time use. The 40mm Foam Dispenser Pump new squeeze-type foam pump that offers optimum dispensing for fine, rich foam each and every time a dose is meted out. The PP foam pump has been made to a 40/410 specification making it the perfect size to fit personal care bottles for hair care products, liquid soaps shampoos and rinses. The rich, bubbly foam makes for an innovation in the bubble hair rinse field. The bottle and pump can be easily adapted to perfectly dose a number of personal care products, such as shampoo, hair care products, hand soaps, and more. 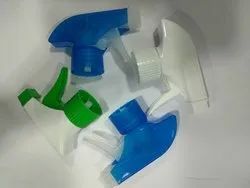 This foam bottle is especially suitable for baby products, as the rich foam is convenient to use and foam is favourite for many babies at bath time. 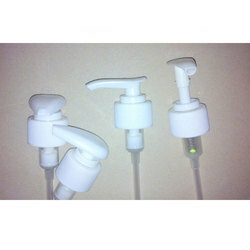 The 24mm White soap/lotion/dispenser pump is ideal for dispensing soaps, lotions and beauty products and fits our plastic bottles which have a 28mm neck. The length of the thick dip tube on the pump can be cut with scissors to the desired length.This product is perfect for dispensing foundation creams , lotions , shampoo , oil etc in small quantities required for one time use. 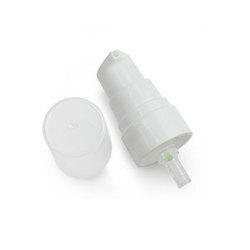 The 18mm white lotion pump comes with a clear protective cap. It is ideal for dispensing soaps, lotions and gels. 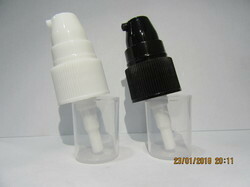 24mm Natural Mist Spray Pumps comes with a Natural Overcap. 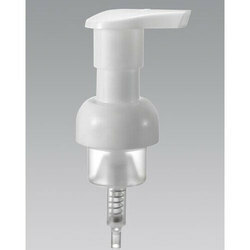 The 28mm White soap/lotion/dispenser pump is ideal for dispensing soaps, lotions and beauty products and fits our plastic bottles which have a 28mm neck. The length of the thick dip tube on the pump can be cut with scissors to the desired length. This product is perfect for dispensing foundation creams , lotions , shampoo , oil etc in small quantities required for one time use. The 30 mm Foam Dispenser Pumps new squeeze-type foam pump that offers optimum dispensing for fine, rich foam each and every time a dose is meted out. The PP foam pump has been made to a 30/410 specification making it the perfect size to fit personal care bottles for hair care products, liquid soaps shampoos and rinses. The rich, bubbly foam makes for an innovation in the bubble hair rinse field.